Oil made America great in the beginnings of the last century with the industrial revolution. The U.S. has been so dependent on this oil that we have foreign policies that revolve around it that we have gone to wars over risking our own national security. Some 35 plus years ago America went through a true energy crisis and nearly brought our country to a standstill. It also had the same effect on other nations throughout the world with nearly the same outcome. One country said that they wouldn’t be beholden to OPEC or any other nation for their fuel needs, Brazil. They started the largest change in transportation fuel ever seen since the days of whale oil and steam. The ethanol business in Brazil is now the model for the rest of the world. The Brazilian government mandated change and had to adapt to changing technologies to make their transportation fuel cheaper and readily available for everyone in and around Brazil. Today, they are the largest exporter of ethanol in the world. They are considered the world’s first sustainable biofuels economy and the industry leader in alternative fuels. In 2003, the introduction of Flex Fuel Vehicles (FFV) became a commercial success, reaching a record 92% share of all new cars and light trucks sold by 2009. Brazilian FFV’s are developed to run on any proportion of ethanol from E20 up to pure hydrous ethanol E100. Just this year, they reached the milestone of 10 million FFV’s on the road in their country. Sugar ethanol consumption is over a 50% market share of all fuel sold in Brazil which makes them the first oil Independent nation in the world. The Oil Industry in America is one major reason the U.S. is in the dark ages of energy use. Even though most of the oil in America is imported from around the world, the U.S. refines the oil into fuels to be exported back to the rest of the world. So the usage of gasoline for transportation in America directly affects the Biggest Oil Companies right here. America is known as the corn capitol of the world. Corn at times is overflowing from fields in our heartland. In the 1970’s, America wasn’t known for its sugar resources. Corn was the crop of abundance in the U.S. So we had to find a way of using what we knew best, ferment corn starch to sugar and then make it into ethanol. This process is a very energy intensive causing the net gains of energy from ethanol to be one of the lowest of all crops used for ethanol production. Let us break down the numbers into simple terms. Corn at its best can produce 425 gallons of ethanol per acre. Sugarcane runs between 650-725 gallons per acre. And one crop we haven’t discussed yet is Sugar Beet, traditional sugar beets produce between 700-750 gallons per acre. 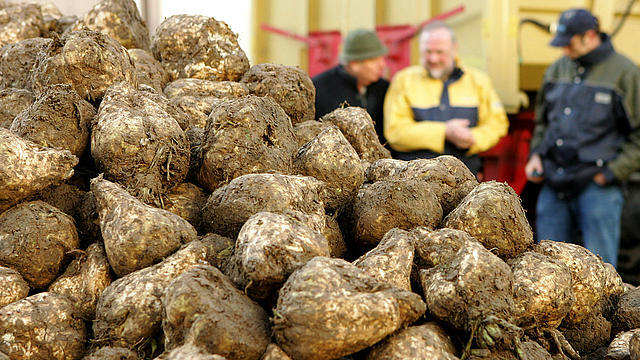 But wait, there is a new Sugar Beet on the market now, known as the Energy Sugar Beet. It produces between 795-850 gallons of ethanol per acre. All of these numbers come from varies reports from the USDA and DOE within the past year, so none of these statistics are from old research or data sources. The Energy Sugar Beet even out performs the EPA and DOE standards mandating crops to be considered for advanced biofuels meet a 50% reduction in GHG threshold. The new beet far out reached that 50% and comes in at 70% GHG reduction and that is using traditional farm practices. But in studies, using non-traditional practices such as low-till and the use of biodiesel on the farms this number has moved to over 80% GHG reduction range. With corn at an all time high, food vs. fuel issues still being debated and the price of gas going up daily, ethanol from Energy Beets will be the lowest priced fuel on the market. One little known fact to Americans is that 60% of all the sugar consumed by Americans comes from sugar beets produced here in America and they aren’t subsidized by the government. 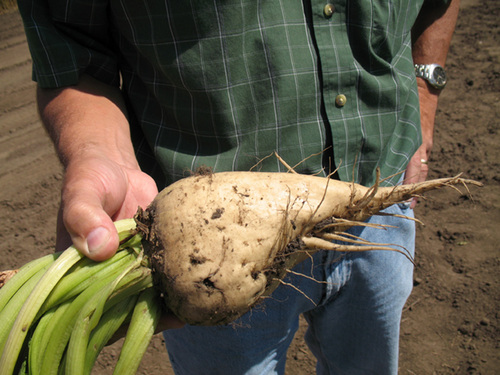 Standard sugar beets are currently being grown in at least 14 states. The one big benefit of the new Energy beets is that they can be grown in almost any climate in 40 states in the U.S. In the states that can produce crops year round like California, Energy beets and be grown in rotation with other crops to boost continuous year round production of ethanol. To make America an Oil Independent nation, we need to change our current Energy Policy, Sugar Policy, Agriculture Policy and Automotive manufacturing Industry. FFVs that run on E85 and E100 should be the number one priority of the Auto Industry. Sugar Industry needs to embrace stepping up processing of sugars across America. Our government also needs to put policy into place that mandates ethanol from sources other than starches. Plus, mandate the auto industry to produce engines to run on E85 and E100 in more than 50% of all their vehicles per year. Energy Sugar beets to make E85 – E100 Ethanol and engines capable of producing 30 plus mpg and 10 % increased horsepower can make the U.S. an Oil Independent nation. Alan Anderson is a freelance writer focusing on green renewable alternative fuels such as sugar based ethanol and biodiesel. He has written in many online publications including Newsvine.com, EnergyBoom.com and been featured in Ethanol Producer Magazine.Alan is in the beginning stages of forming a non-profit organization for the purpose of educating the public to the benefits of ethanol, Sugar based E85-E100 and biodiesel in the US.